Joyce has come up with some excellent questions for this week, with some help from her friend. Not being a very adventurous person, I would say no. I didn't grow up around boats. They make me a little uneasy. We've pretty much kept the same traditions I had growing up. I once knew a person who used to eat Chinese food for Thanksgiving...it's just what they did. 2:00, and there will only be 21 of us. I can't do without my sister's sweet potato casserole. One of my brothers can't do without mashed potatoes. If you read my post from Friday, you know that a couple of years ago we didn't have them, and he was not happy! I've never used one. I came close once. My mom was working at a hospital on the night shift when I was in college (I think that's when it was, anyway). One Saturday morning, I was in my room (which was across the hall from my parents' room), and one of my little brothers came running down the hall to tell me the kitchen was on fire. He had decided to fry some bacon in a skillet that had a crack in it. Anyway, his running down the hall along with the word "fire" made my mom jump up and run to the kitchen. She used the fire extinguisher. I was going to throw some baking soda on it. Gosh, Joyce is making us think too hard this week! When we moved from Ga. to SC, it was hard on me. I finally (after 11 years) felt like Ga. was home, then CH was transferred. Even though it was kind of exciting to be moving to a completely different place, I really didn't want to go. I had a hard time at first and was actually homesick for Ga. It turned out to be a blessing because CH converted to Catholicism after we had lived in SC for a few years. We had wonderful friends and an awesome Church family. Mashed. With some of the dried Ranch Dressing Mix. Yum. 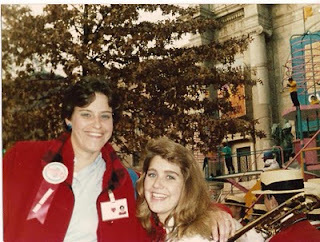 When I was a guard instructor for a high school in Ga., I had the opportunity to accompany them to the Macy's Thanksgiving Day Parade. What an experience that was! It was amazing to see what happens "behind the scenes" and to see NYC for the first time. In addition to the parade, we went to see "Cats", went to the top of the World Trade Center, visited the Statue of Liberty, visited the Fish Market (although I'm not sure why! ), and ate at the Hard Rock Cafe. It was quite an experience! It was a lot of "hurry up and wait", but it was a good time. Even getting up at 3:00 a.m. to be on the bus by 4:00 was memorable. And, seeing a billboard with a naked woman on it on the route was interesting. One of NYC's finest laughed at me and one of the girls because we told him we didn't have billboards like that in Georgia. It was a great trip. I hope everybody has a wonderful Thanksgiving. 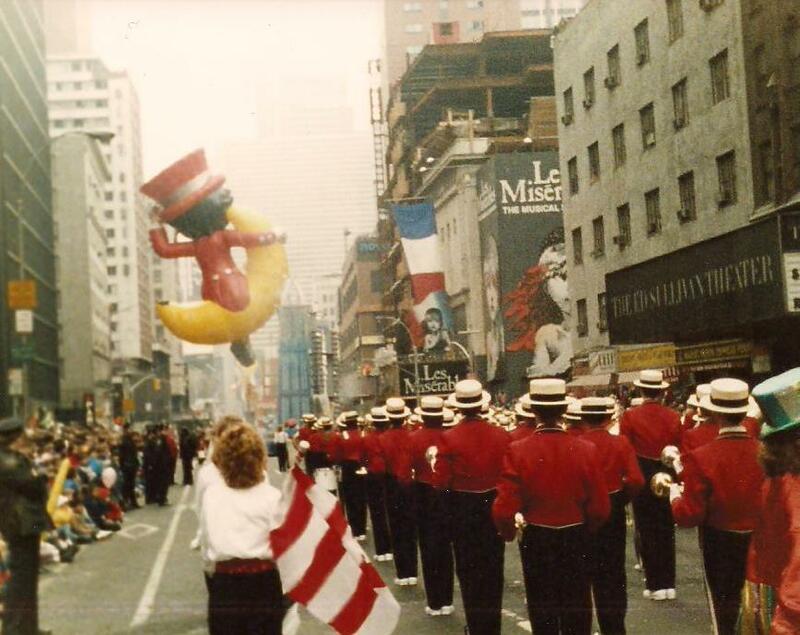 how cool to go to the Macy Day parade!! I'm sure that will be one of those lasting memories that you will always remember! hoping you all have a wonderful Thanksgiving! 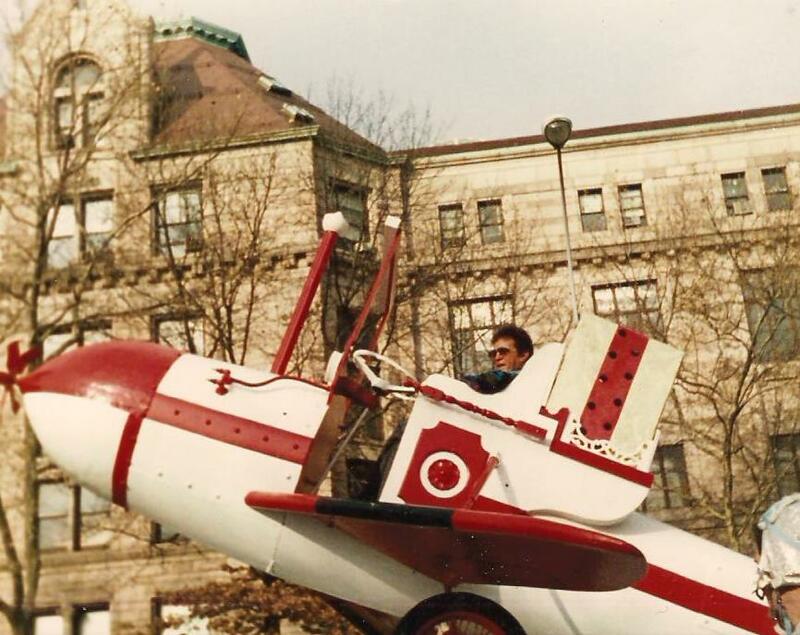 That is too cool about the parade! Would love to see it in person. Have a wonderful Thanksgiving with all your family. Mary, I hope you and your family (I love reading about them!) have a wonderfully blessed Thanksgiving! Somehow Thanksgiving just seems more festive the more people there are. Yep baking soda works wonderfully on fires. I can attest to that from several experiences. Strange how reading these brings back memories that were forgotten. I'm jealous, that sounds like a wonderful time you had in NY. I think I need to try that ranch in mashed potatoes. Have a wonderful day, enjoy all the goodies. What a fun post you wrote! I just tried sweet pot. fries over Labor Day weekend. They were yummy! What a beautiful blessing your move ended up being!!! 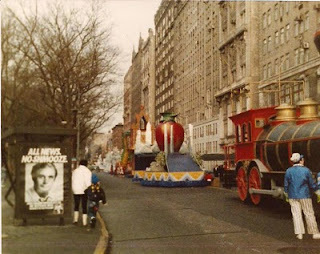 And how cool to be behind that parade when you probably watched it for years on t.v.! Don't forget to relax over some libations tomorrow! Have a blessed holiday. Enjoyed the photos of the parade! Wow! 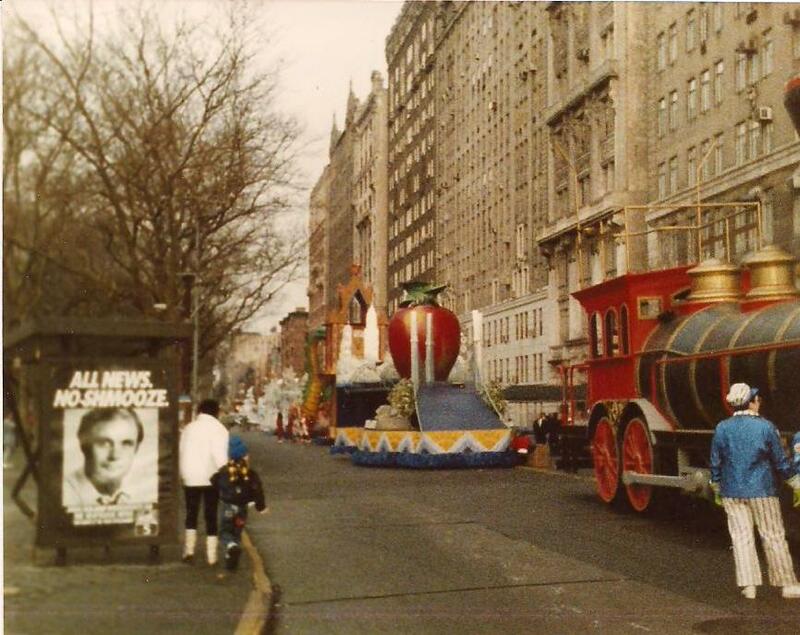 the Macy's parade. That is so cool! Loved the post and the pictures of the parade. Lucky stiff. Frank has marched in that parade. I have never been. Have a blessed and thankful day tomorrow. So sad about the uniforms. Linds will march at Disney in December. She is so excited. BUT NYC......that would blow her mind!! Oh my...that band uniform loss sounds horrible!!!! Poor kids! Your story of the parade...awesome!!! I'll bet those kids never forgot that experience! Such great answers. 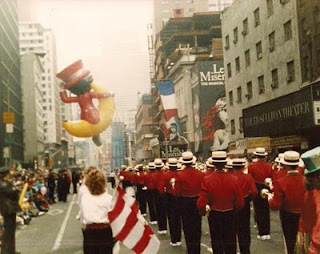 I kinda think it would be cool to view the Macy's parade in person, but I really wouldn't want to deal with the crowds and the cold (and it often rains!). Sounds like such a neat experience goingto NYC with the band! Hope you've had a wonderful Thanksgiving, Mary!